Tashi Wangchuk, an innocent Tibetan shopkeeper and language advocate, was sentenced to five years’ imprisonment by Chinese authorities on false charges of ‘inciting separatism’. HIS CRIME? Publicly seeking his right to Tibetan language education. Tashi has already spent two and a half years in Chinese detention despite the fact that he has committed no crime under both international law and that of the Chinese constitution. He is now not due to be released until January 2021 after Chinese courts rejected his sentence appeal on 13 August 2018. – After Chinese authorities forced the closure of Tibetan language classes, Tashi tried to press for the provision of more Tibetan education. – In November 2015 the New York Times documented Tashi’s lawful attempt. – Two months later, on 27 January 2016, Tashi was detained, held in secret for almost two months and tortured by his captors. – After nearly two years in detention, Tashi Wangchuk was tried in a ‘closed door trial’ for “inciting separatism”, a politically motivated charge. Governments and journalists who attempted to attend the trial were denied entry. – On 22 May 2018, Tashi Wangchuk was sentenced to five years in prison. 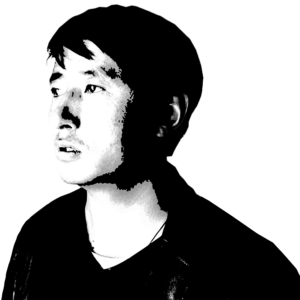 – Tashi is one of a number of Tibetans to have been persecuted under Chinese state security laws, which are broad in scope and provide authorities with the powers to clamp down on dissent or behaviour that they deem to be “separatist”, a charge carrying a maximum sentence of 15 years in prison. 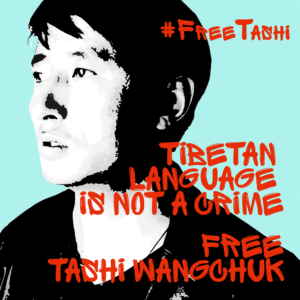 – Tashi Wangchuk’s case has aroused the concern of many governments and United Nations experts including the US Embassy and EU Delegation United Nations independent experts called for Tashi Wangchuk to be released. Watch and Share the video and visit http://www.freepanchenlama.org/ to take action! Where is the Panchen Lama? Missing for nearly 25-years.